Supports to play mp3, wave, and MPEG-1 files. 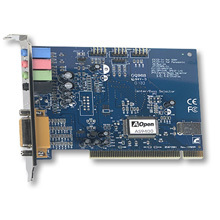 Provides EAX and equalizer to improve the sound effects when you playback the audio files. Supports to record input signals and save it in a wave file as well.